1900. 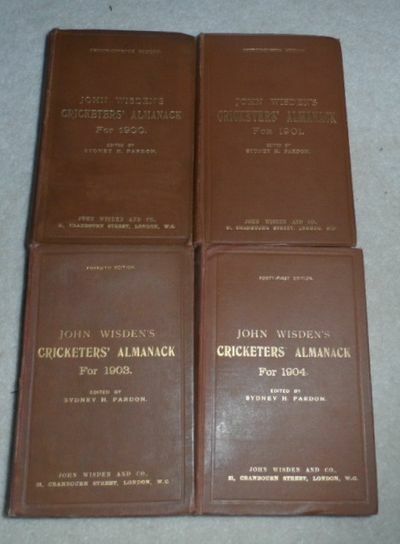 This lot is a Set of 4 WW1 Hardback Wisdens - 1900 to 1904 Wisden Hardbacks without 1902. In Good Condition but things to note. The 1900 has some restoration to the front board and spine a bump to the rear board and what looks a facsimile plate. The 1901 in very good condition but touch ups to the paste downs and photoplate. The 1903 has restored hinges (as always) but wear to the spine cloth , rather worn throughout with touch ups to the pastedown tops. The 1904 is very good but repaired hinges and pastedown touch ups. A cheap and cheerful set if you dont mind the odd funny. 30 Wellington Ct., Albert Gate, London 1900 - 3 1/4 pages. on four panels of a folded octavo sheet of letterhead. A few minor finger smudges, folded for mailing (with careful repair to break at one fold) otherwise very good or better. To Canon [Basil] Wilberforce. In an October 1899 letter to W.D. 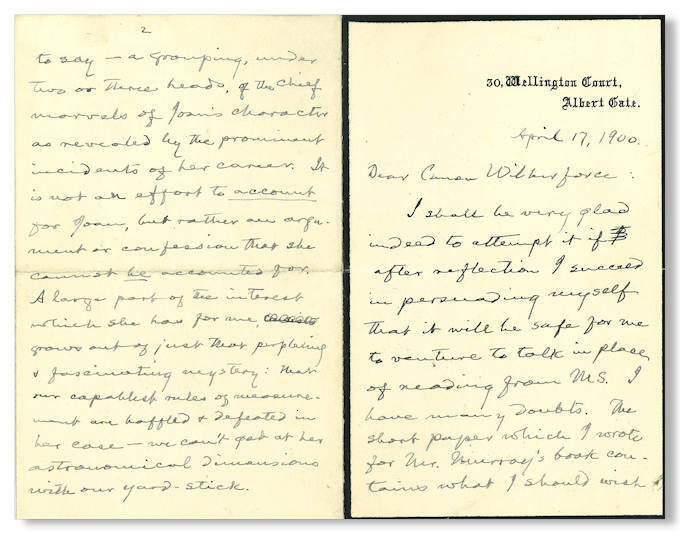 Howells, Clemens noted that he had just received an invitation from Wilberforce to "talk Joan of Arc in his drawing-room to the Dukes and Earls and M. P.'s .," and indicated that he would endeavor to postpone the occasion. He appears to have succeeded in doing so, for here, six months later, he discusses the nature of the proposed talk: "The short paper which I wrote for Mr. Murray's book [T. Douglas Murray, JEANNE D'ARC, MAID OF ORLEANS: DELIVERER OF FRANCE (1903)] contains what I should wish to say -- a grouping, under two or three heads, of the chief marvels of Joan's character as revealed by the prominent incidents of her career. It is not an effort to account for Joan, but rather an argument or confession that she cannot be accounted for. A large part of the interest which she has for me, grows out of just that perplexing & fascinating mystery: that our capablest rules of measurement are baffled & defeated in her case -- we can't get at her astronomical dimensions with our yard-stick. If I might read from that paper & intersperse the reading with talk enough to relieve the formality & stiffness of the deliberately- prepared sentences, I think I might get through without ship-wreck ." Signed: "Very sincerely yours S.L. Clemens." Wilberforce & Clemens are enshrined in the body of literary anecdote via the incident in July of 1899 when Wilberforce confused Clemens' hat for his own and made off with it. [Binding title:] Zivil und Militärarchitektur.[Germany? ], 1748 [or a few years later]. 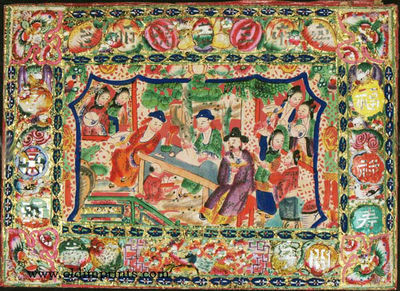 Oblong Imperial folio (34.5 x 46.5 cm). A series of 63 leaves of pen and ink-wash drawings, each drawn on the recto in a thick-thin border (29 x 41 cm), with captions, headings, etc. in German in a gothic hand, foreign names and words in a Latin hand and titles in a Latin hand or lettered in roman capitals. Half red pigskin (ca. 1900), with title on the front board and spine. 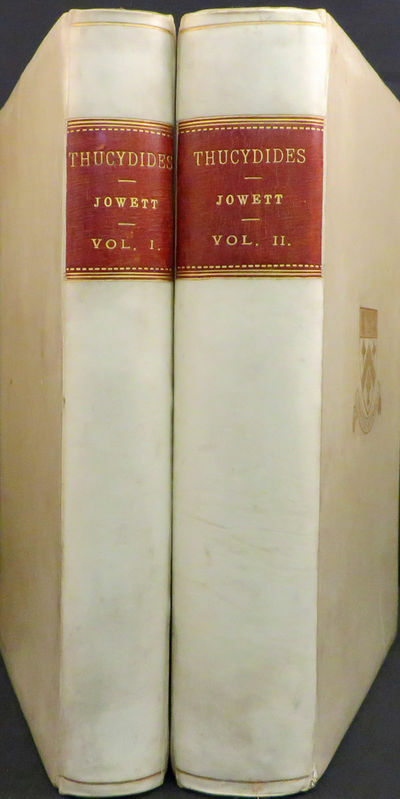 An extensive anonymous series of 63 large leaves containing finely executed pen and ink-wash drawings, primarily concerned with military architecture and fortifications, but also covering civil architecture (with special emphasis on the five orders of columns), mechanics, plain and solid geometry (including surveying), trigonometry (with applications to architecture and surveying) and artillery. It includes elevations, plans, sections, perspective views, explanatory diagrams, ornamental details and more. Some leaves have a single large drawing filling the page; others have numerous small drawings. Most of the 31 leaves in the part devoted to military architecture show fortifications, but it also includes colour-coded diagrams showing the arrangement of troops in camps. Many of the drawings are working drawings with scales. Altogether they form an entire course in architecture with an emphasis on fortification. Six of the fortification drawings have headings describing them as fortifications in the manner of well-known French, German and Dutch authors of similar published books of military architectural plates: Adam Freitag; Comte de Pagan; Nicolas-François Blondel and Leonard Christoph Sturm. Whoever bound the drawings ca. 1900 mistakenly dated them "1700", but the style of the drawings is clearly later and the tiny flag flying over the stonemason's on-site workshop on the first page bears the date "1748". In very good condition, with only an occasional minor smudge, spot or small marginal stain. The binding is slightly worn but still good. A splendid series of military architectural drawings, most partly in colour, apparently never published. Hofer, Karl (1878 - 1955). German composer (1900-1950), who was a leading stage composer in Germany and later moved to the United States, becoming a citizen in 1943. His most famous work is the Threepenny Opera. Signed photo, a second generation print. Size is 5 x 6.5 inches, in excellent condition. Brettspiele. - Spiele für Kinder. - Militaria. 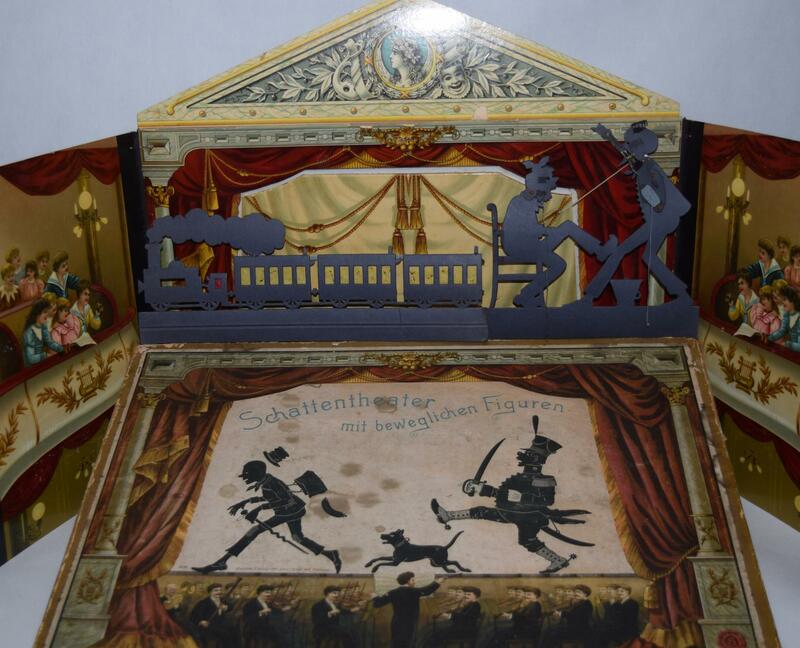 - Militärische Spiele. 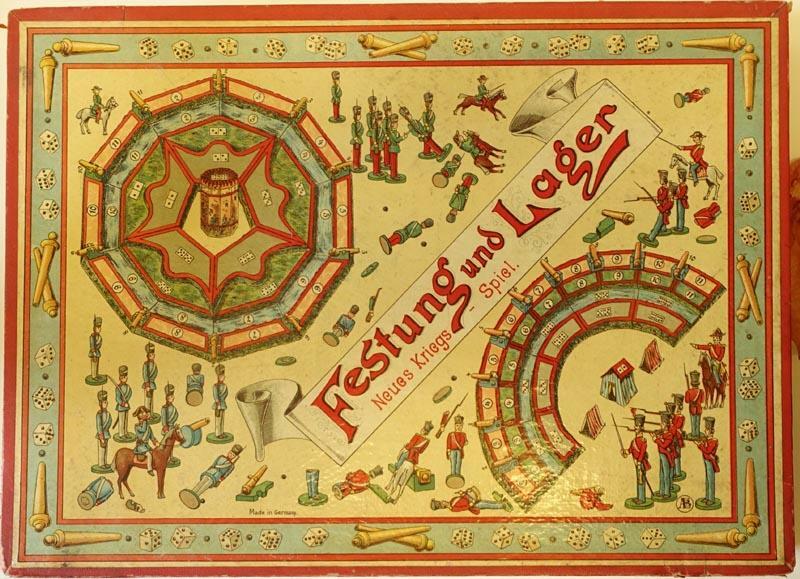 Festungs- und Belagerungs-Spiel. (Neues Kriegs-Spiel). CRÓNICA TROYANA. CÓDICE GALLEGO DEL SIGLO XIV DE LA BIBLIOTECA NACIONAL DE MADRID. DOS VOLÚMENES. Austrian,‭ ‬later american composer and writer (‬1900-1991),‭ ‬who explored atonality and other modern styles.‭ ‬Signed photo,‭ ‬shown with a score,‭ ‬dated in‭ ‬1979. Large autograph music quote signed, with 7 bars, triple staves, from his opera "Orpheus und Eurydice", op. 21, 1923. Krenek even included text for voice below the piano score. Large size, 8.5 x 11.75 inches, fold near the right margin, otherwise in excellent condition. ORIGINAL SIGNED PEN AND INK ARTWORK . (Drawing). 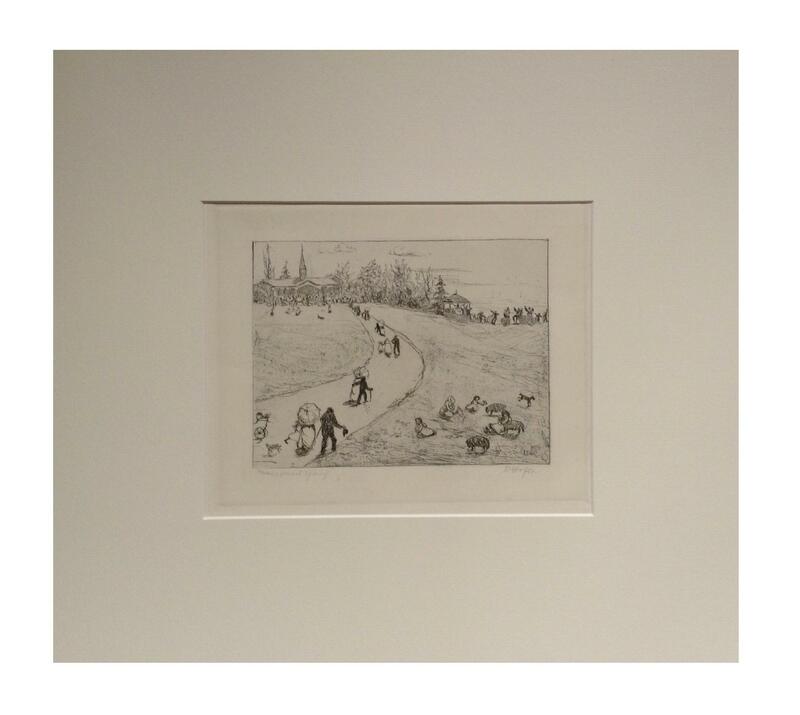 Undated pen and ink drawing on paper circa 1900, image size approximately: 145 x 105 mm, 5½ x 4 inches. It depicts a little girl standing on a sandy shore in a long checked dress with a frill at the hem, wearing a straw hat, looking down at a beautiful dressed doll obviously left behind by some little rich girl. The caption, not visible on the image, is "One day she found a great treasure". Farmiloe has signed the bottom right corner "Edith Farmiloe". A charming image but we have failed to discover whether or not it was done for a children's book. Fine condition, in a cream mount, ready for framing. Edith Farmiloe (active 1893-1908), well known for her sympathetic and humorous drawings of slum children and ragamuffins, illustrated several of her own books plus a few Dumpy books and one for E.V. Lucas. Price includes VAT. MORE IMAGES ATTACHED TO THIS LISTING, ALL ZOOMABLE, FURTHER IMAGES ON REQUEST. POSTAGE AT COST. London, Longmans Green and Co., 1900. FIRST EDITION, FIRST IMPRESSION: Octavo pp. 345, [2 ads.] Rebound in late 20th Century full black morocco leather, gilt titles to spine and upper following the disign of the original cloth, with marbled endpapers. Ink name to first blank, a clean copy. 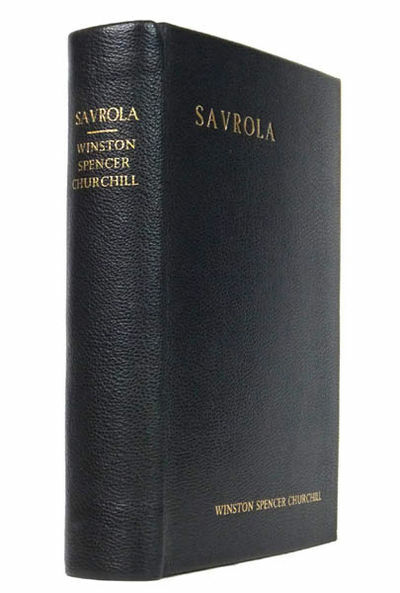 Churchill's only novel. 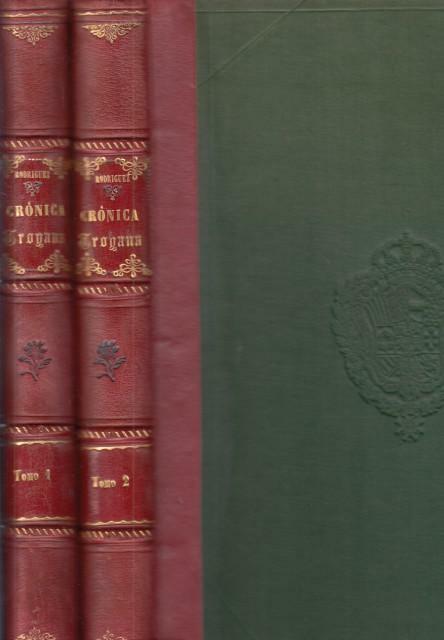 WOODS, Frederick, "A Bibliography of the Works of Sir Winston Churchill", A3(b). Langworth. DE VRIES, HUGO. - THE REDISCOVERY OF MENDEL'S LAWS - THE BIRTH OF MODERN GENETICS. Sur la loi de disjonction des hybrides. (The Law of Segregation of Hybrides - Das Spaltungsgesetzt der Bastarde). Paris, Gauthier-Villars, 1900. 4to. No wrappers. In: "Comptes Rendus Hebdomadaires des Séances de L'Academie des Sciences", Tome 130, No 13. 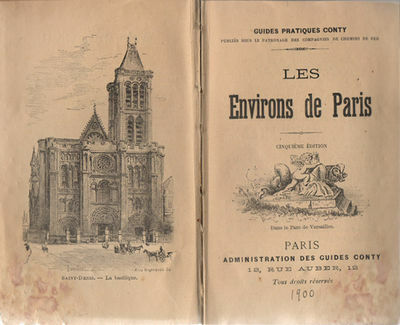 Titlepage and half-title to tome 130 included. Pp. (809-) 864. (Entire issue offered). De Vries paper: pp. 845-847. Clean and fine. ¶ First appearance of a milestone paper in genetics being the "REDISCOVERY" OF MENDEL'S LAWS OF HEREDITY" - This paper, together with the two other papers from the same year by Carl Correns and Erich Tschermak, laid the foundations of a new scientific discipline that, in 1906, was given the name "genetics", and less than a century later, rose to become the leading science in Western society. This French announcement was published 4 days before his longer paper "Das Spaltungsgesetzt der Hybride", in which Mendel is mentioned. De Vries completed most of his hybridization experiments without knowing about Mendel's work. Based on his own results, de Vries drew the same conclusions as Mendel. 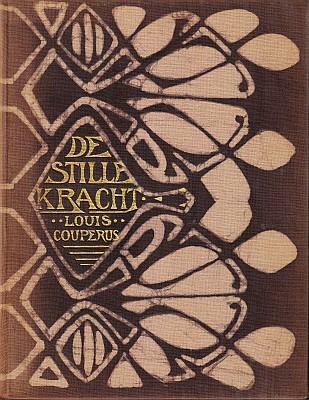 De Vries published his work in 1900, first in French then in German. In the French report there was no mention of Mendel, but this was amended by de Vries in the German paper. It is possible that de Vries read Mendel's paper before he published his own, and included Mendel's name in the later printing when he realized that other people also knew about Mendel's work. De Vries may have thought that his own conclusions were superior to Mendel's. "During the 1880s, de Vries became interested in heredity. In 1889 he published Intracellular Pangenesis, in which he critically reviewed previous research on inheritance and advanced the theory that elements in the nucleus, pangenes', determine hereditary traits. To investigate his theories, he began breeding plants in 1892 and by 1896 had obtained clear evidence for the segregation of characters in the offspring of crosses in 3:1 ratios. He delayed publishing these results, proposing to include them in a larger book, but in 1900 he came across the work of Gregor Mendel, published 34 years earlier, and announced his own findings. This stimulated both Karl Correns and Erich von Tschermak-Seysenegg to publish their essentially similar observations." (Oxford Dictionary of Scientists).Parkinson "Breakthroughs" 1900 B. - PMM 356 (the note). 3. Young man with hat. Bulmer studio Sudenham St., Flesherton, Ont. 17. Lady with dog. J. Black & Son. Tighnabrudich. 47. later photograph of man with glasses. 50. Miniature picture group of 3. 56. Small photograph of a young woman. Chas Street, Rothesay, N.B. 58. (Similar to #27 different studio) Two women and young boy (or 3 women?) Heyn studio, Laramie, Wyoming 59. Small photo of a child. 62. (Non photograph) Memorial card of Donald Macphee. London, Sampson, Low and Co. 1900. First English deluxe edition. Profusely illustrated, and with one fold out chart/gameboard for tracking one's progress across the United States. Publisher's green cloth boards decorated and titled in gilt, black, orange and white with a suitably Verneian (a word that in this context means "Utterly Bizarre") scene of three men on a tandem (tridem?) cycling energetically across a desolate mountainous landscape whilst discharging revolvers at a pursuing pack of wolves. As you do. Minor scuffing and edgewear otherwise exceptionally clean and sharp. This de luxe edition was publshed similtaneously with floral endpapers and all edges gilt. Internally clean and bright, ink ownership to front flyleaf, the plate facing page 152 has at some stage come loose and develop a crease along the top edge prior to being reattached. 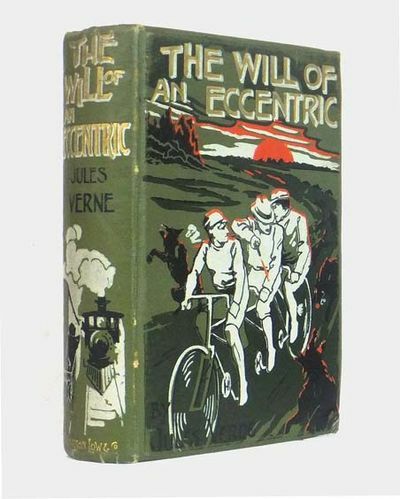 A nice example of a madcap bit of scarce late Verne involving a lunatic race across America for enough cash to build your own nuclear submarine and fly it to the moon. Wacky Races goes steampunk, endearingly frenetic and madder than an eel flavoured hat. BBA sale 634 [Literature]. London: Longmans, Green, and Co.,, 1900. With numerous illustrations by H. J. Ford. Octavo. Original grey cloth, titles and pictorial decoration to spine and front board gilt, black endpapers, all edges gilt. Illustrated frontispiece with tissue guard, vignette title page, 31 plates, and illustrations in the text throughout by Ford. Spine ends and tips a little rubbed, foxing to the text block, dark dampstain to pp. 87-94, not affecting text, worm damage p. 137. A very good copy. 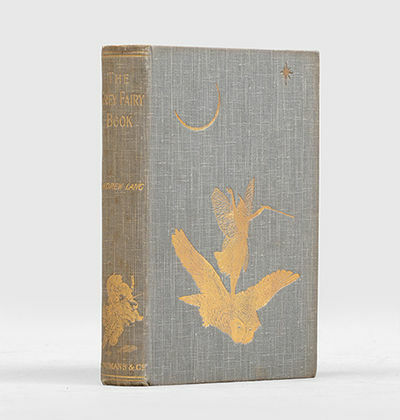 First edition, first impression, of the sixth instalment in Lang's Fairy Book series, with tales "deriving from many countries  Lithuania, various parts of Africa, Germany, France, Greece, and other regions of the world" (Lang's preface), many of them highly phantasmagorical and strange. Lang's preface contains the intriguing observation, "The stories, as usual, illustrate the method of popular fiction. A certain number of incidents are shaken into many varying combinations, like the fragments of coloured glass in the kaleidoscope. Probably the possible combinations, like possible musical combinations, are not unlimited in number". 1900. Near Fine. Large oblong quarto measuring 10" x 11.5". Red pebbled cloth with gilt edges and "photographs" stamped in gilt on the front board. A collection of 111 black and white or sepia-toned gelatin silver snap shot photographs affixed to white cardboard pages, with a few loose photos laid in. Photographs are about near fine with some creasing in a very good album with edgewear and spotting. A photo album featuring a large amount (approximately half) of the images set on a Canadian ranch in the late 1880s or early 1890s. The images include the stables, what appears to be someone operating on a sick (or possibly dead) horse, ranch hands in full "cowboy" dress complete with hat and lasso atop their horses, breaking horses, as well as trick riding, and one amusing photo of a man, a dog, and a hose. One particularly wonderful photograph shows a bucking horse with a rider. 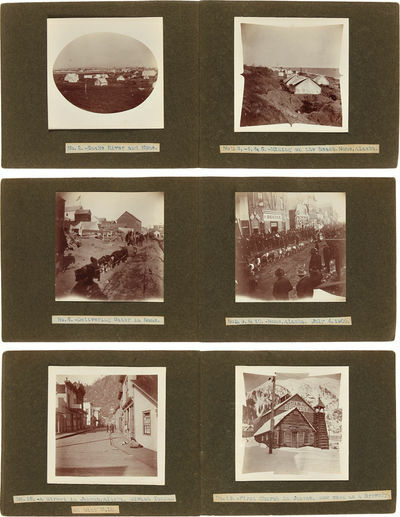 The album also contains a parade in Quebec City with hundreds of people lining the road and several photos of building and two photos showing the town circa 1880. The latter part of the album show images from a trip to Europe with town of Lourdes in Southern France, include the old fort and the National Shrine Grotto of Our Lady of Lourdes. Also show are various images of the Alps along with stagecoaches, glaciers, Matterhorn, and mountain goats can be seen. A few photos show the St. Gotthard tunnel entrance, the third largest road tunnel in the world, under construction, it was completed in 1881. A fascinating look at life on a Canadian ranch as well as an excursion to Europe for a mix or business and pleasure. 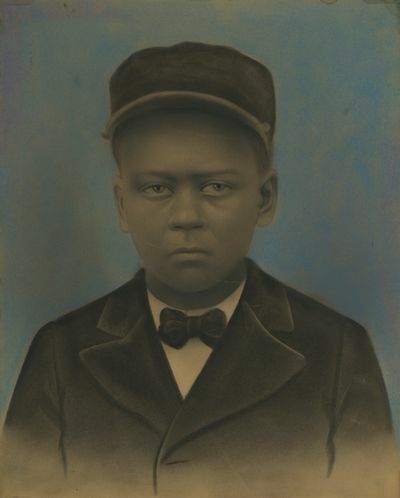 A large, 15 x 12 inch portrait photograph with contemporary color of either crayons or pastels, with added charcoal, c.1900. The photograph was mounted to a cardboard backing when made; the backing board is acid and shows the ghost of a transfer which reads (in reverse) in pencil, 3rd (and) Williams. Aside from a few very minor scratches that do not penetrate the surface, and a small dampstain to one tip, this is a very fine example. Since this photograph has been entirely colored with turquoise blue background, brown skin-tones, and charcoal for coat and hat, we surmise by the weight of the base paper that this was initially a bromide print. 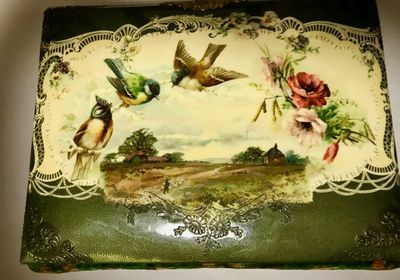 The hand-colored and painted photograph has been with us since daguerreian times and continues to be made today. The variety of processes and applications is almost as endless as with "straight" black & white photography. See Heinz and Bridget Henisch THE PAINTED PHOTOGRAPH 1839-1914.14222. Chinese Firecracker / Firework decorative box top. Ca. 1900.. Hand painted and cut paper and foil label on thick cardboard as issued, 14 x 19 1/2 inches. A beautiful and unusual example of Chinese folk art, this is a hand cut and painted decorative paper and foil box top (top only of the box), produced in China circa 1900. Intricately designed and executed, colorful paper was cut, painted and glued over decorative foil to produce an extraordinarily rich design. The purpose of the labels was to attract the eye and therefore sell the merchandise; so bright colors and auspicious symbols were used, to convey a feeling of festiveness and good fortune. .
Mm. 200 x 150, cc. 104 (pagine numerate, alcune cassate e altre ritagliate dall'Autore verosimilmente nell'ottica della definizione di un'uscita a stampa. Dall'indice delle poesie posto in fine non risulta alcuna mancanza di testo). Al frontespizio compare la seguente dedica: "Alla gentile Signorina Emilia Galateo perché non abbia ad affaticarsi nel ricordar cose, degne forse d'esser pietosamente dimenticate. Pisa 1900. Versi. Ugo Ghiron". Grafia chiara e perfettamente leggibile. Legatura coeva in mezza tela con titolo ms. su etichetta al piatto anteriore, tagli rossi. Segni del tempo alla legatura. Nel complesso ben conservato. Ugo Ghiron (1876-1952) nacque a Roma e lì fece i suoi studi ginnasiali, trasferendosi poi con la famiglia a Pisa, dove compì gli studi liceali e universitari, laureandosi in lettere. Pisa era all'epoca un centro intellettuale molto vivo, ricco di fermenti culturali e di cenacoli di giovani talenti; Ghiron, che aveva presto manifestato la sua vocazione poetica, si dimostrò, però, sin dall'inizio, autore solitario e appartato, estraneo alle poetiche più moderne. Nel 1908 pubblicò presso la casa editrice Bemporad di Firenze, la prima raccolta di liriche, Vita, con una calorosa prefazione - in forma di lettera all'editore - di G. Mazzoni. In seguito pubblicò vari volumi di versi (Le rime della notte, 1913; Le visioni di Atropos, tq20; Gli aquilotti e le rondini, 1923; Tristezze, 1925), ispirati a un vivo senso di bontà e di giustizia, dei quali trascelse il meglio nel volume Poesie (1932). Scrisse anche apprezzati libri per ragazzi: Dolci canzoni, Palermo 1915; Piccoli canti, Torino 1921; Sussurri, ivi 1921; Il libro dei piccoli, Palermo 1923. Questa interessantissima raccolta di versi verosimilmente inediti fu realizzata proprio a Pisa al termine degli studi universitario. Di seguito i titoli delle 24 poesie: Tempesta, Per monaca, Invito notturno, Chiesa fiorentina, Spagnuola, Vecchio castello, A un mandarino cinese in porcellana, Alba, Partenza, Avamposti, Mons gloriae, S. Maria della spina, All'amico di Sarzana, Il poesta e la poesia, Cristianesimo, All'autore di un sonetto di quindici versi, Nostalgia, In memoria di mia sorella, Saluto Valdostano, Io temo, Desiderio, Piazza de' Cavalieri, Rimorso, Fantasia satanica..
De stille kracht. (Originele batikband, ontwerp Chris Lebeau). - Amsterdam, Veen, . Origineel gebatikt linnen met gouden belettering [ontwerp Chris Lebeau, de paarsbruine variant]. (4), 184, (4), 212 p. 1e druk. Rug en smalle strook voor- en achterplat (als altijd) wat verschoten. Twee hoekjes licht gebutst. Contemporaine naam op titel. Goed exemplaar.l Belangrijk art-nouveauboek. Braches 001120 ('Stille Kracht is wel één van de weinige werkelijk gebatikte uitgeversbanden'). VV 206,2. Collectie Veen 1.2. Les amants ( Die Liebenden ). 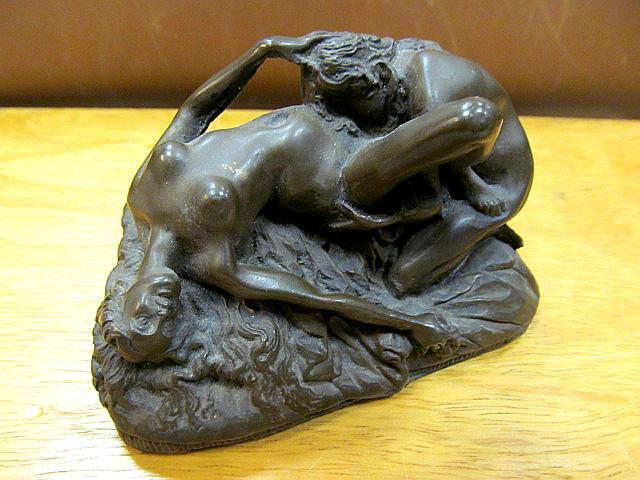 Signierte Künstlerbronze. [Nome, Juneau, and other locations in Alaska, 1900. Twenty-four tipped-in photographs, with printed captions, each photograph approximately 3 1/2 x 3 1/2 inches. Contemporary brown wrappers. Some scuffing to spine. Minor fading to images. Very good. An excellent collection of vernacular photographs of Alaska around the turn of the 20th century, with printed captions beneath the images containing valuable information for identification of the images. The majority of the album captures images of Nome when it was a thriving boom town following shortly after the 1898 discovery of gold. One of the captions covering three of the photographs reads, "Mining on the Beach. Nome, Alaska." Other views include Nome from a distance, showing the hundreds of tents housing the prospectors; the house in Nome belonging to one of the album organizer's friends; sled dog teams delivering water; six views taken on the Fourth of July, including a parade of sled dogs passing in front of Wyatt Earp's Dexter Saloon, draped in patriotic ribbons; the Hunter Saloon, titled "the finest in Nome," and Northern Saloon, similarly decorated for Independence Day; the J.F. Giese Hardware Store, occupying the "finest building in Nome;" five views of Juneau, including a street scene, a brewery housed in the first church in Juneau, and an enormous canoe named the "Whalekiller"; totem poles in Wrangle, Ak. ; and the Muir Glacier near Skagway. Photographs from the time period near the Alaskan Gold Rush are rare, especially in an album as well-organized and well-identified as this one. [No place: no publisher, 1900. Near Fine. Broadside printed in color on cloth, possibly a chromoxylographic process. Measuring 22.5" x 22.5". Very slight wear at extremities, faint old folds (largely now flattened out), slight age-wear but still near fine. The cloth is lightly tipped at the top onto foam core backing. 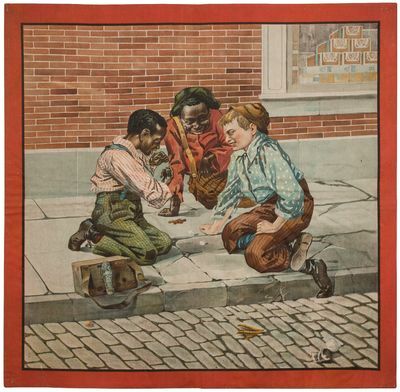 Artist's depiction of two black boys, one with a shine box, along with one white boy, play craps for pennies on the sidewalk, to their evident delight. 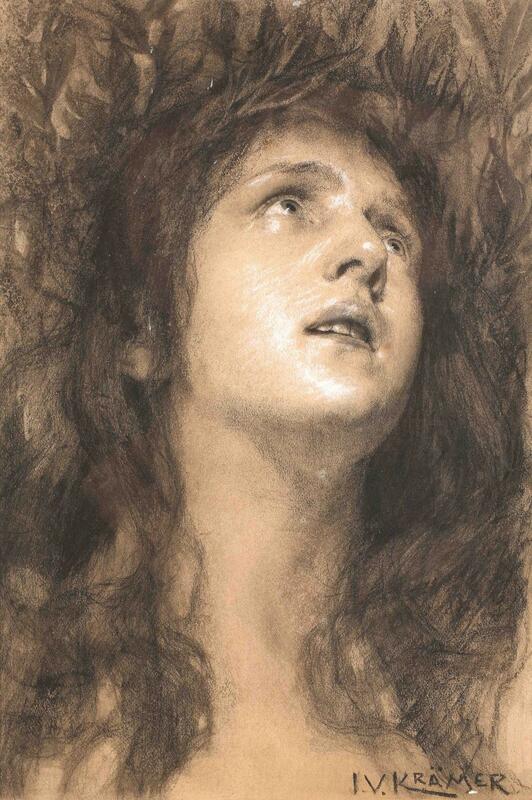 No place of publication, but clearly American and possibly from New York; no publication information, and no obvious artist's mark, what must certainly be a rare survivor. We could find no other copy of this image. Über die in einem späthieratischen Papyrus des Berliner Museums erhaltenen Pyramidentexte. [Dissertation, wohl 1900 bei Paul, Berlin veröffentlicht]. Meridian, Connecticut, 1900. Album. Very good. All but one of the images measure approximately 3.5" x 2.25". 19 of the images are cyanotypes; 20 are photographs. Highlights include cyanotypes of: The school's driveway and the large central building, Residential cottages for the boys, Three boys on work detail carrying large milk pails, A group of about 50 boys in what appear to be work or athletic uniforms, Three small groups of boys in their dress uniforms, A young boy wearing a smock and apron and holding a cat, and The school chapel. 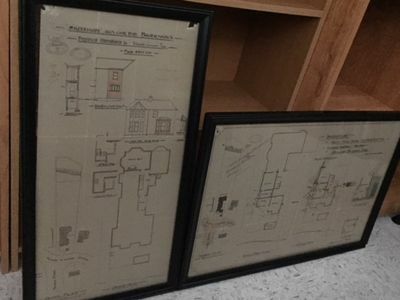 Other photographs are of the Meriden area including Hubbard Park, Castle Craig, bucolic scenes with cows and sheep, a couple tending a large garden, family groups, and what appears to be the New London Lighthouse. The Connecticut Reform School for Boys opened in 1854 with 154 boys. All were under the age of 16 when convicted, and they could be held at the school for a defined term, until they were 'reformed,' or until they turned 21. While at the School, the boys worked six hours a day; spent four hours in the classroom; prayed, played or performed incidental duties for five hours, and had nine hours to sleep. In 1893, the school's name was changed to the Connecticut School for Boys. It closed in 1972. Japanese Photograph Album with lacquer boards. c. 1900. Album with 78 tinted original photographs, captioned in English, each measuring c. 203 by 268 mm, in its original lacquer boards with original photo on metal plate laid into upper cover, morocco spine ornamented in gilt, all edges gilt, inner dentelles gilt, in the original padded patterned cotton-covered box with a few repairs. The topographical images are mainly of the Main Island, Honshu, with particular emphasis on Nikko, Sendai, Kioto, Osaka, Kobe, Nara, Onomichi, and Miji. Of special note are several studies of female musicians, dancers and traders. Japanese photographic establishements of the period swapped glass negatives to increase the diversity of the stock photos they could offer to customers. - One of the finest such albums we had for quite some time. 1900. Hi and Welcome to our Store. We are selling our HBs off in chunks, happy to split the sets or to send more details and pictures, please just ask us or the admin team here. This lot is a Set of 4 WW1 Hardback Wisdens - 1900 to 1904 Wisden Hardbacks without 1902. In Good Condition but things to note. The 1900 has some restoration to the front board and spine a bump to the rear board and what looks a facsimile plate. 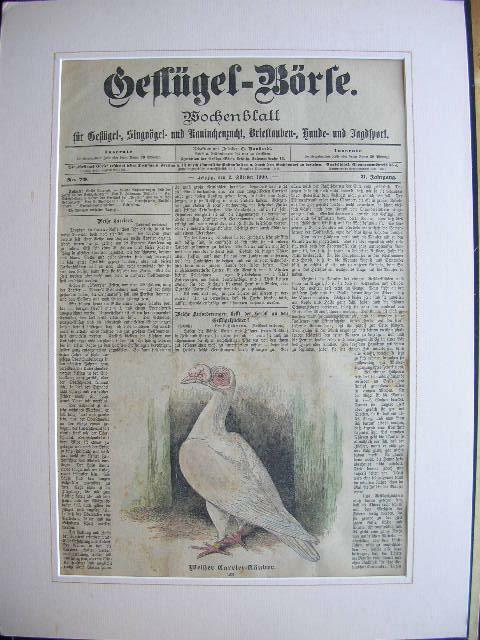 The 1901 in very good condition but touch ups to the paste downs and photoplate. The 1903 has restored hinges (as always) but wear to the spine cloth , rather worn throughout with touch ups to the pastedown tops. The 1904 is very good but repaired hinges and pastedown touch ups. A cheap and cheerful set if you dont mind the odd funny. Shanghai, Huangpu River, Moganshan, Hangzhou]. Shanghai, Huangpu River, Moganshan, Hangzhou, ca. 1900. - Oblong folio (363 x 274 mm). 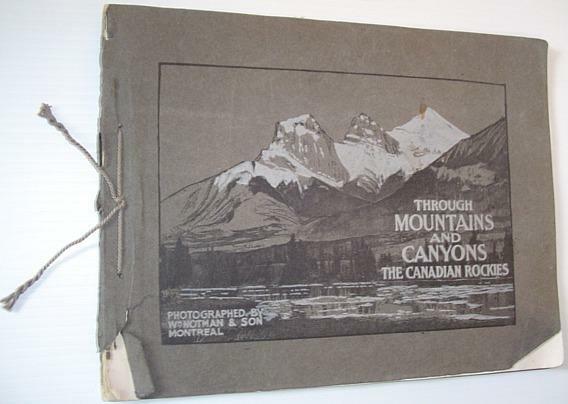 Contemporary block-bound silk album of 167 photographs. Various sizes; largest 297 x 218 mm. 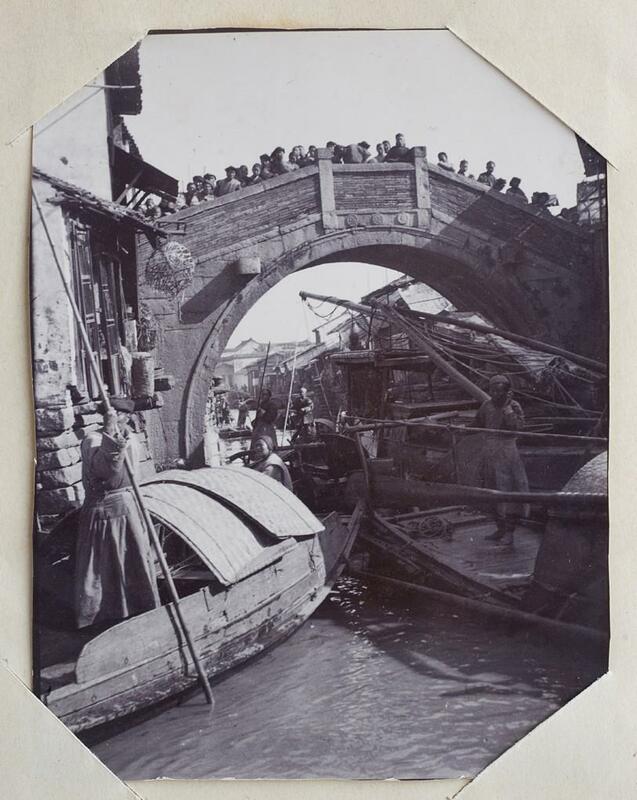 A photograph album comprising 167 images of the life of a German merchant family in China around the turn of the century. Includes several views of the interior of the Schröders' art-deco residence in Shanghai and of their Chinese domestic workers dressed in late Qing costumes with house puppies and pet monkey, with several portraits of Schröder's wife, showing her feeding the chicken in the courtyard or seated on a horse carriage in the streets of Shanghai, many photographs were taken during the Schröder family's extensive travels in and around Shanghai, for example along the Huangpu River to the mountain retreat in Moganshan and to Hangzhou, showing not only scenic views but also the life of locals they met en route. - Extremeties somewhat rubbed with slight flaws to slik, but still well preserved. Provenance: From the collection of Johannes Gottfried William Schröder (1870-1942). Born in India, the brother of the German poet Rudolf Alexander Schröder grew up in Bremen, trained as a merchant and visited India, China, Japan, and America. He established his own business in Shanghai in 1906. His intimate knowledge of East Asia led him to embrace the philosophy of anthroposophy.